The privately owned 5-star luxury hotel is located at the New Forest National Park, only a few minute walk from Barton-on-Sea golf course. It is set in a picturesque landscape that enables you to truly relax and enjoy the walk to Barton-on-Sea. 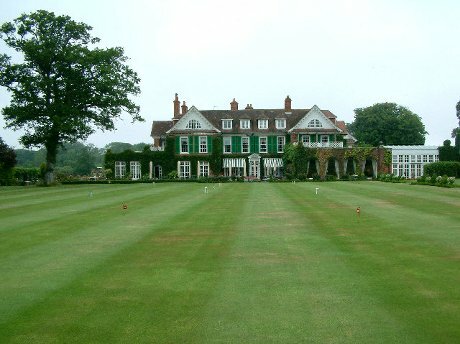 If you are looking for a fine accommodation, Chewton Glen won’t let you down. Reservations can also be made online. Also a few minutes walk from the Barton-on-Sea golf course is The Olde Barn Bed & Breakfast, a charming 17th century barn that has been fully renovated in the late 1980s. You can get a room from £25 (per person), including with breakfast. It is a lovely and quiet place to stay, while its owners, Julie and Simon who are keen golfers themselves, will be happy to tell you everything you need to know about golfing at Barton-on-Sea and nearby. Only 200 yards from the beach and a few minute walk from the Barton-on-Sea, the Beach House (previously known as the Westover Hall) is a lovely place to stay to enjoy golfing at the Barton-on-Sea golf course and get some rest. The Beach House is a 19th century Grade II listed Victorian mansion which has of course been fully restored. Besides offering 14 en-suite rooms with spectacular view of the Isle of Wight and the famous Needles, the Beach House also offers an unforgettable culinary experience. Overlooking the Christchurch Harbour, the Christchurch Harbour Hotel is a little bit further from Barton-on-Sea (about 5 miles) but if you are looking for a luxury place to stay, you probably won’t mind a few minute drive to Barton-on-Sea. In 2012, the Christchurch Harbour Hotel has been named one of Top 10 Coastal Hotels in the UK by The Sunday Times Travel. The Careys Manor & SenSpa is a 4 star country house hotel which is only a few minute drive from Barton-on-Sea. Located within the New Forest National Park, the Careys Manor offers 77 luxury bedrooms, world-class SenSpa, fine dining and of course, world-class service to make you feel like royalty.